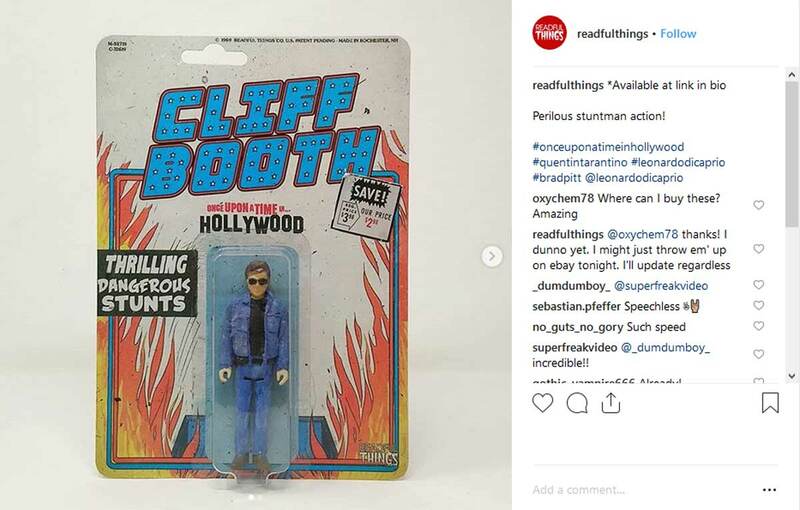 Following last week’s release of the first posters and teaser trailer for Quentin Tarantino’s ninth film, Once Upon A Time In Hollywood, the internet has been abuzz with fun fan art, alternate poster designs, wild plot theories, and a plethora of other homages tied to the upcoming movie. 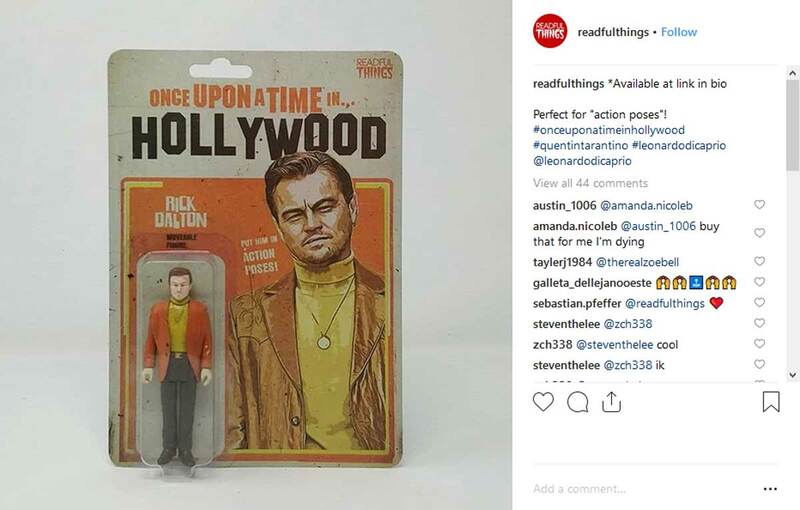 One of our favorites comes from artist & toy designer Readful Things, who has crafted some fantastic, one-of-a-kind action figures dedicated to the Hollywood characters played by Leonard DiCaprio and Brad Pitt. But if you want to add them to your collection, you better act fast – they’re currently up for auction on eBay.